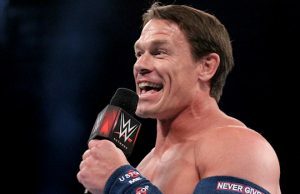 — Returning to the ring for the first time since WWE Super-Show Down on October 6, John Cena gears up for action in a series of WWE live events beginning tonight at Madison Square Garden. — The Bella Twins’ YouTube channel, which gives fans an intimate look at the lives of Nikki and Brie, recently hit two million subscribers. To celebrate, the twin duo released this “Bellabration” video. — Here is footage of Rusev’s celebration after winning the United States Championship from Shinsuke Nakamura last night on SmackDown LIVE.